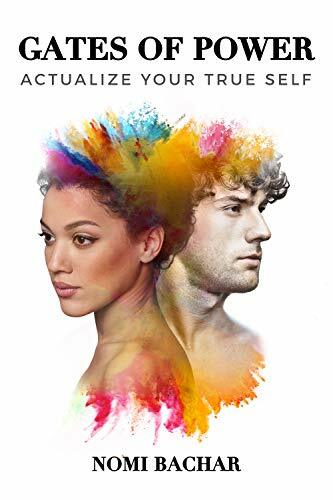 Best Seller Publishing announces the release of Nomi Bachar’s new book, “Gates of Power: Actualize Your True Self” - 2nd Edition. It will be available for free download in the Amazon Kindle Store on August 13th. “Gates of Power: Actualize Your True Self” is an inspirational, informative, and practical guide for all who are passionate about living up to their potential and maximizing their life. The book is based on the Gates of Power® Method created by Nomi Bachar. In the book, Nomi offers wisdom gathered through her own spiritual and emotional journey, her life-long study of different spiritual traditions and her experience as a counselor and coach for the last 26 years. The Gates of Power® Method is a path for self-healing and self-actualization. The path is practical, creative, and deeply spiritual. The method empowers and energizes all seven facets of our being: Body, Emotions, Dialogue, Creative Expression, Life Path, Silence, and Knowledge. At the same time it unifies the three aspects of the self (Emotional Self, Defensive Self, Expanded Self) creating inner strength. Gates of Power® Method is the ultimate guide for creating a vibrant, powerful and whole Self. The method is practiced through a comprehensive curriculum that includes seven levels of training. “Gates of Power” by Nomi Bachar will be free and available for download on Amazon for 5 days (08/13/2018 – 08/17/2018) at: https://www.amazon.com/dp/B07G2NWFX9. “This book was instrumental in my discovery of myself, my potential and my realization of who I want to be. Although I was initially resistant to the the seeming simplicity of how the author breaks down the expanded, emotional and defensive selves and the Gates of Power, I found that following her system crystallized where I was coming from, what I needed to work on, who I wanted to be/what I wanted and then helped me break down these huge concepts into scalable tasks and put it into a schedule of commitments that I could keep. I’m very grateful to have had this book and work in my life.” – Gloiria X. “‘Gates of Power’ is a wonderful book and practical method that helps you become more self aware and encourages you to imagine and actualize the life you want for yourself. It is written with compassion and vision and provides its readers with actual steps and assignments that help those who seek to grow and expand better navigate their journey.” – Jeanie H.
For more questions or to schedule an interview about this press release please contact us at (626) 765-9750 or email nfo@bestsellerpublishing.org. Nomi Bachar is a human potential expert, coach, and psychotherapist. For the past 26 years, she has been counseling, speaking, and leading workshops for organizations and individuals. Bachar is the creator of Gates of Power®, a revolutionary method that empowers individuals to transform their lives by learning to liberate, energize, and strengthen each one of the seven facets of their being. She lives in New York City.